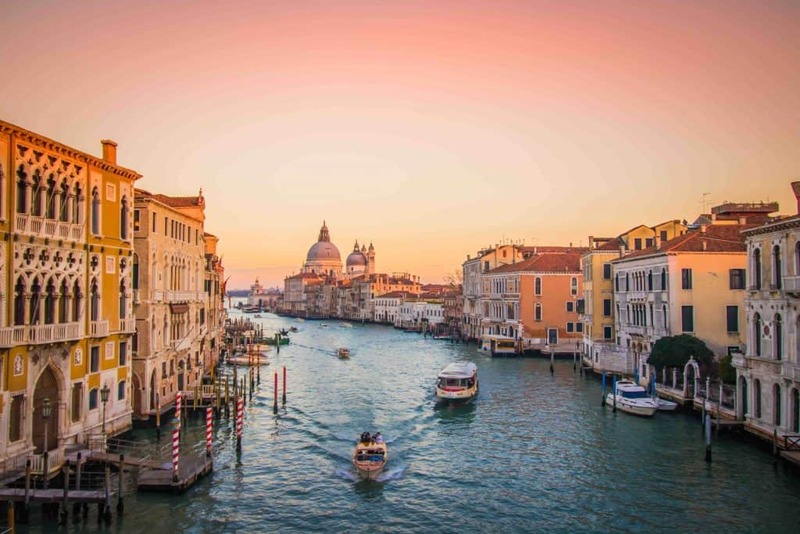 Italy may be our favorite country in Europe and definitely one of our favorites in the world. The iconic countryside, fantastic wine, rich history, and strong culture keeps us coming back year after year. Each time we have a new reason for visiting Italy. From the Alps in the North to Sicily in the Mediterranean and the vast country in between, there is something for every type of visitor. If it’s your first time visiting Italy you may be overwhelmed with the information, planning, and routing to consider. So, I wanted to share with you my top Italy travel tips for first time visitors after visiting the country many times. Train travel is one of the best ways to travel around Italy. The train networks are extensive and fairly affordable. Fast trains cost between €30 – €70, while regional slow trains can cost €6 – €30 depending on distance traveled. The two main train companies are Trenitalia and Italo. It’s important to note that even if you have a Eurail pass in Italy you still must pay a reservation fee – typically of €10. You may not have to tip 20% for service in Italy, but more often than not you will see a “Coperto” charge on your bill when you dine out. Coperto is a fee or cover charge that you will see at most Italian restaurants. We’ve found copertos range anywhere from €1.50-4 per person. It’s a form of payment for your waiter and the bread on the table. You don’t have to tip for service on top of this, but it’s an important Italy travel tips especially if you’re trying to eat on a budget. You may want to think twice about bringing a nice roller bag to Italy. Most Italian towns and cities are filled with old cobbled streets. They are amazingly beautiful and one of the many reasons to love Italy; however, your bag will not love cobblestones. You also could be looking at a lot of stairs be it around town or actually in your apartment rental or hotel. That’s not to say you absolutely shouldn’t bring a suitcase to Italy if you want though. I personally have traveled to Italy two times with a suitcase and all was well, I was just wishing for a duffel bag instead. If you’re traveling around Italy you may be flying with a low-cost carrier. Easy Jet and Ryan Air are two of the big ones that operate in the country. We’ve flown both and have had decent experiences, just make sure to read the fine print before booking. Low-cost carriers can nickel and dime you if you don’t follow their strict baggage regulations and rules. They also require an online check in the night before unless you want to face another fee. Italy, especially in the summer, can become a crowded and touristy place. You’ll be rewarded with peace and tranquility if you are up and at it before the crowds. One of my top Italy travel tips is to wake up early and get out the door before everyone else. Before 8 am is one of the best times to explore and get a better glimpse into local life. It’s also the golden hour for photographers as sunset the streets are packed with locals and tourists. Italy is a member of the Schengen agreement. Meaning most nationalities get 90 days in Italy and most of Europe. Make sure to check with your embassy to see if this is you or not. Tim and Vodafone sim cards are cheap and you can pick them up at the airport. We found Tim to be slightly cheaper, but have used Vodafone all over Europe and have always had a good experience. If you’re staying a week or more it may be a good idea to pick one up. 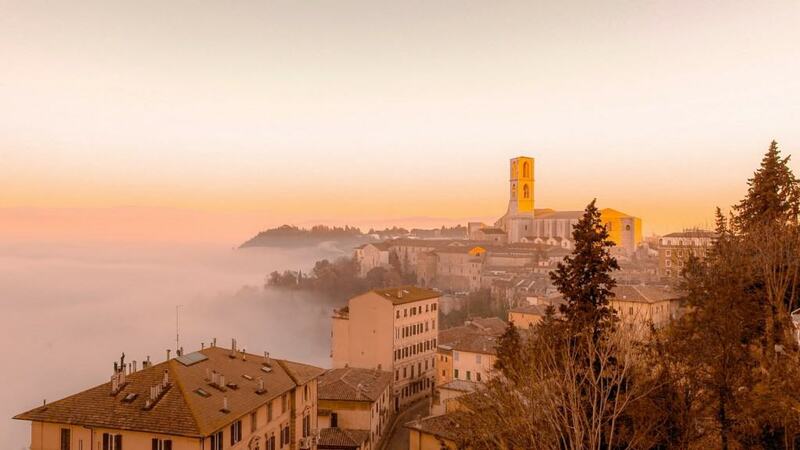 This is going to be a hard one, but when you’re in the Italian cities and towns it’s best to try and blend. Take off the baseball cap, put away the big map, no outdoor clothes, fanny packs, bulky cameras, and take note of your surroundings. Not only will this make you less vulnerable to scams, but you may get better prices at normal shops. It’s what I like to call being an “aware tourist.” Italy is famous for its pickpockets and they target the easiest looking mark. Granted, we have never seen or experienced any of that in Italy. You can find more of my Italy packing tips here. I find that around the world when you toast to someone with drinks you should always look at each other in the eye. This is especially true in Italy where they drink at every social meal including lunch. It’s proper to hold your chin high and make eye contact with everyone and drink before you eat. It is considered to be polite, friendly, and apparently can bring good luck. If you’re lucky enough to dine with an Italian, make sure to cheers them with eye contact. Speaking of alcohol, in Italy, good wine can be had at a great price. Drinking wine is a way of life and is often had with every meal at home and out to eat with friends and family. Those €3-5 bottles of wine in the supermarket? Those aren’t bottom of the barrel wines – that’s just the price of wine in the region! If I could give you just one Italy travel tip for food it would be to venture away from tourist sites. 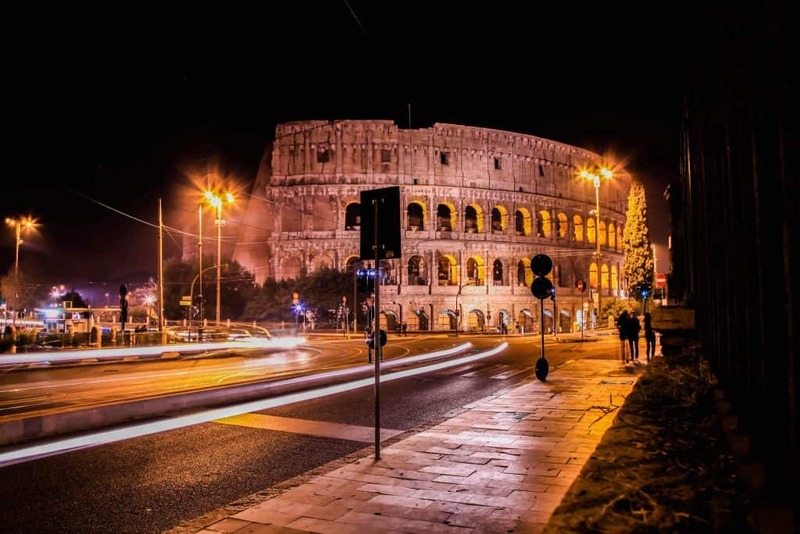 The closer you are to a major tourist sight; like the Colosseum, Vatican, tower of Pisa, the Duomo, the higher the prices will be at restaurants and typically the worse the food. I recommend walking a few streets back from the main attraction to find more affordable and perhaps more authentic food. We also love to do a bit of research online to find some good places we can pick from for the day. I’ve said it before and I’ll say it again – the best pizza we’ve ever had was in Naples. Gino Sorbillo‘s is well known in Naples for revolutionizing pizza and thankfully his pizza shop has begun to expand with one near the Duomo in Milan. If you find yourself in either of these cities and love pizza then a trip to Gino Sorbillo’s is a must. Although the Naples location is the true winner – we like the city better than Milan too! Venice gets either a lot of love or a lot of hate. It’s a beautiful and unique city that is unparalleled. No other city on earth can compare in terms of history, treasures, architecture, and atmosphere. However, it’s beauty has also brought in hoards of tourists over the years. They descend on the city like a swarm of locusts in the summer months. Then mix in a sinking city prone to flood and a sewage system that is centuries old. It’s easy to see why Venice can also be a nightmare for some people. The key is to head there in the offseason when crowds are low and acqua alta hasn’t hit. Another strategy is to stay on the outer islands or even Murano. We’ve traveled to Venice around Christmas and in mid-February, both times were fabulous experiences and trips. We can’t recommend seeing the city for yourself enough. There is more to Italy than Rome and Venice. 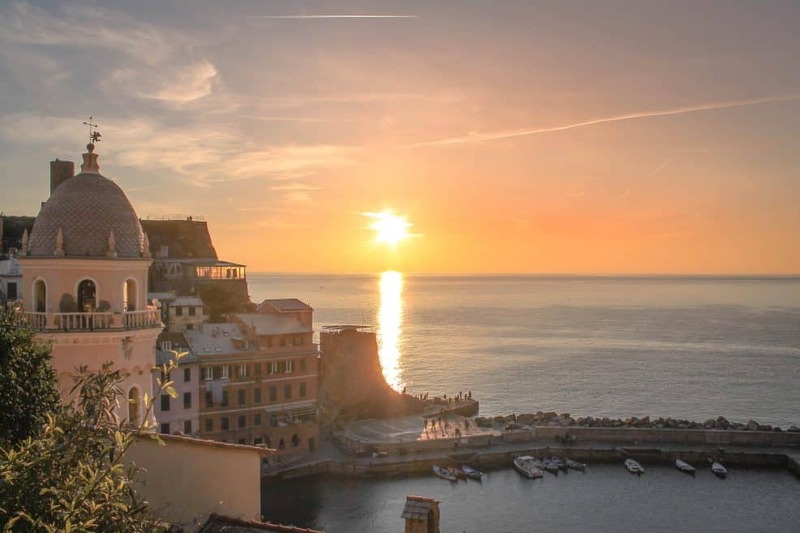 The Italian islands boast some spectacular scenery and world-renowned beaches. Sicily and Capri may be the most well known Italian islands, but there are many others to consider visiting in Italy. Sardinia, Stromboli, and Ischia are just a few waiting to be explored. 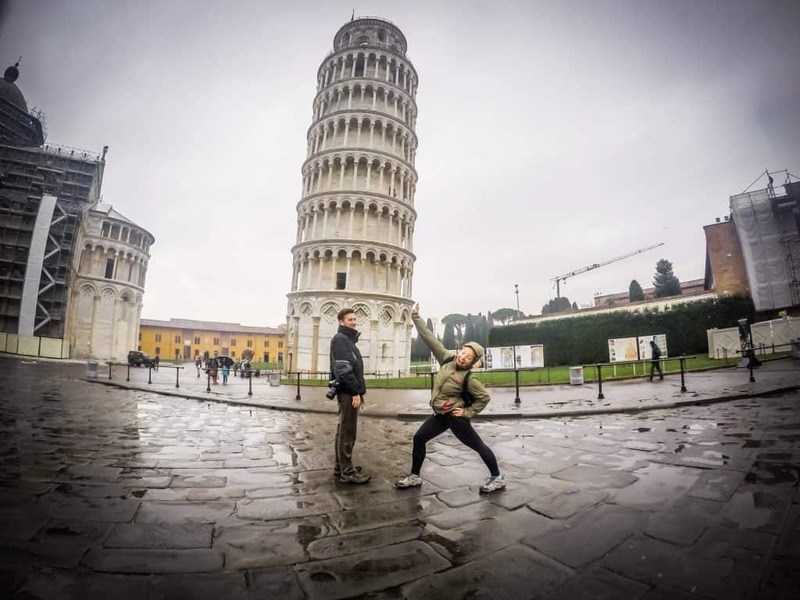 Here’s a great Italian itinerary for beginners. Gelato is loved by all. And no matter where you are you will be able to find a gelato shop. However, There is good gelato and crap gelato – even in Italy. Read your reviews online, and be sure to test out a few different shops. When you find the best, you will know. Our favorite gelato in Italy was in Florence at Gelateria Della Passera. Eating in Italy is a serious affair and people take their time to enjoy meals with loved ones. If you’re eating with an Italians plan ahead as it’s not unusual for a dinner to take three hours. It’s a time to eat, relax, talk, and drink plenty of good wine. Italians also eat late and often don’t start dinner until 8 or 9 in the evening, so don’t be surprised if you show up to a restaurant at 6 and there is no one there. Like siesta in Spain, Italians also take a break in the middle of the day. Riposo is Italy’s midday siesta. From 1-4 p.m. you can expect to find many shops and restaurants closed. Italians like to take time in the afternoon to go home, have lunch, and relax with family before heading back out to do business. We’ve rented a few cars in Italy and each time they are what I like to call “Italian size.” If you think you may need a large full-size car on your rental make sure to specify that in the booking. From north to south, Italy is a very different country. There are 20 different regions in Italy, and each specializes in different wines, foods, and traditions. It’s one of the many reasons we love Italy and keep coming back. Whenever we travel we notice how different not only the landscape is between the North and South, but the culture as well. They are total opposites in many ways. Northern Italy shares borders with France, Switzerland, and Austria and therefore has cultural similarities with those countries. It is historically the heart of the Italian economy with much more wealth than the South. It’s where you can find Italian style, supercars, and art. Southern Italy is close to Greece and has a very strong Mediterranean culture, vibe, and climate. It’s vibrant, loud, and is prized for its culinary gifts to the world. They have amazing art and history too! As Americans, we also find that Southern Italy feels much more at home because that is where most Italian-Americans immigrated from. Quite frankly, Italy in the summertime is my least favorite. Prices are higher and tourists are everywhere. It leads to less friendly locals who are over the flood of tourists. If you can swing it I would recommend visiting Italy during the shoulder seasons, particularly the fall. Or head there in the winter for their amazing ski destinations! Cappuccinos and espressos are everywhere in Italy, and it’s WONDERFUL. Our day in Italy wasn’t complete unless we had about three visits to the coffee bar. Coffee is meant for everyone and is therefore very affordable. We usually paid €1.30 for a Cappuccino and €.90 for espresso. Anything more than €1.50 and you are getting the straight up tourist fare. 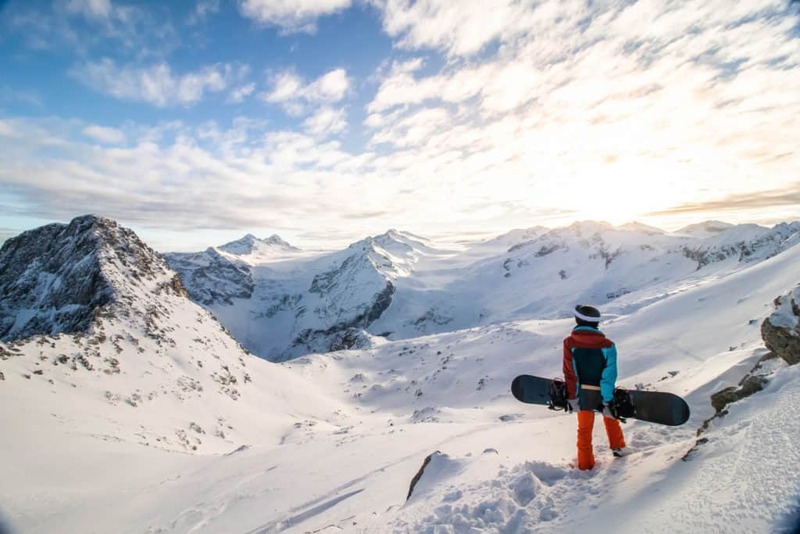 Many people head to Italy for the beaches or ruins, but did you know you can ski and snowboard here? We enjoyed a fabulous week in the Trentino region of the Italian Alps and the views and snow were incredible. Not only was the ski great, but the charming mountain towns in Northern Italy offer a wildly different culture than previous places we had been. 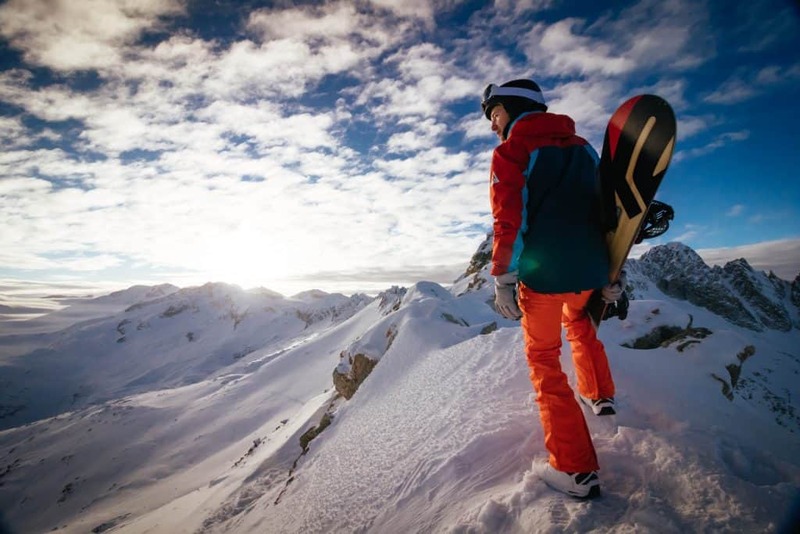 Other nice ski areas in Italy are Bormio, Livigno, and Alta Badia. Breakfast is also an interesting and sweet time for me. The Italian breakfast is a light one and you shouldn’t be surprised if a croissant or cake is all you get for the start of the day. It’s amazing the first time you have a cornetti and cappuccino, but by the fifth time, you’re ready for something else. I love Italy. Perhaps that’s why I’ve been six times and have plans to return. The one thing that I can’t adapt to is the food. Sure pizza, risotto, and ravioli are great for a few days, but a week or longer of it? No thank you. If you’re on a diet and eating out in Italy you’re going to have a tough time. There is a good reason Italians save dining out for special occasions and friends. The majority of the time they cook at home. This is a reason why we particularly like to rent out Airbnb’s to cook our own food. Italy produces some fantastic products and produce so you’ll be able to make some fantastic meals from the market. I know you probably traveled to Italy to eat all the delicious Italian food in the restaurants. However, almost every time I find some of the best Italian products in the local markets. Handmade pasta, locally produced sun-dried tomatoes, olives, fresh mozzarella, and beautiful fresh produce are all delicious. YUM! 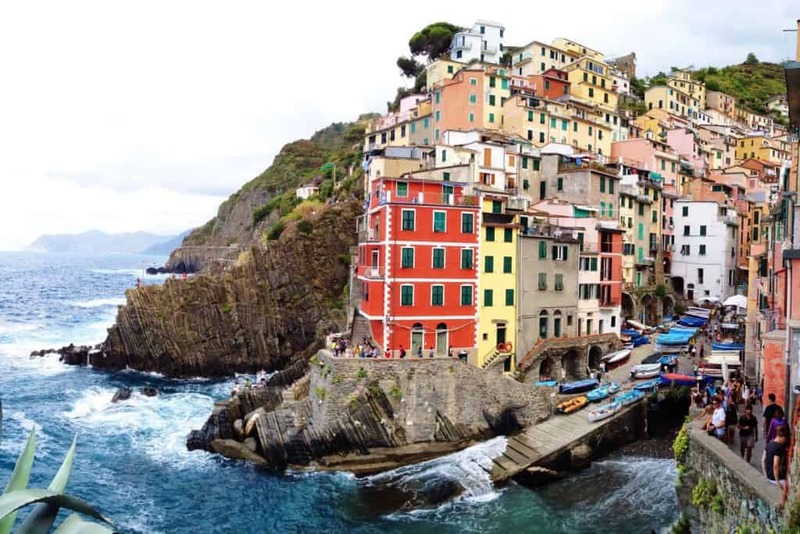 There are also some great hideaways in almost every town where you can find a little old Italian woman selling delicious produce and Italian food products. In fact, most towns have a shop dedicated to hand-rolled pasta. Look out for it and buy the tasty products, I promise you won’t be disappointed. Remember when I said the wine was a way of life in Italy? Well, that philosophy goes for not just dinner but lunch as well. We enjoyed countless lunches in Italy with a glass of vino in hand. There are so many great wines to start off lunch with we love a little bubbly such as proseco, trentodoc, or spumanti. Cannolis originated in Sicily, and are hands down where I’ve found the most delicious ones. Anywhere else in Italy Cannolis can be very hit or miss. Remember when I said Italy is a different country with regional foods. These delicious treats are best in the South. Every time we go back to Italy we remark how much Italians seem to love their dogs. Pet owners are everywhere around the country and more and more businesses are becoming dog-friendly. If you’re looking to go on vacation without parting from your furry friend Italy may be calling your name. 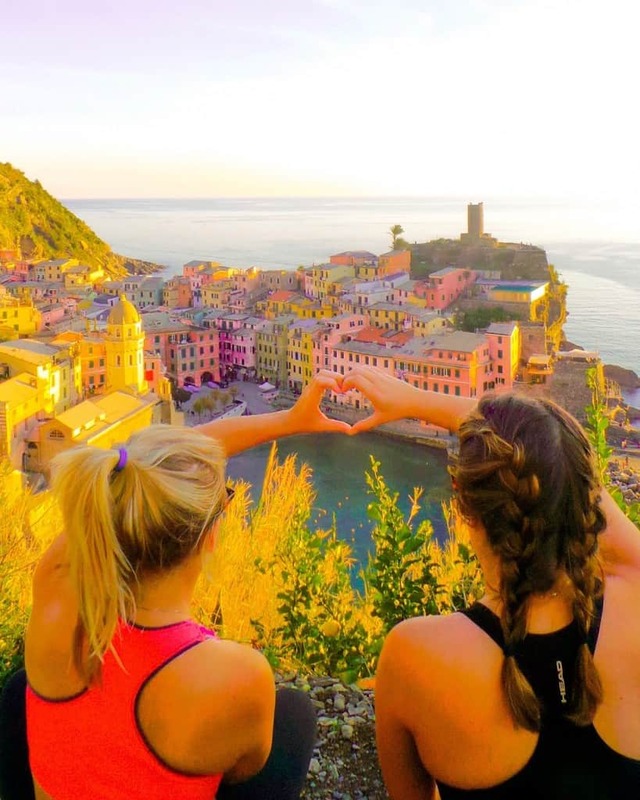 Most of the cities in Italy are 100% walking cities, so prepare to work off that pasta! Stay away from heels as many Italian towns have cobblestone streets and you don’t want to break an ankle trying to look good. That being said plenty of Italian women rock it! A good pair of leather boots for men will fit in great, just make sure they’re polished and in good condition. As for women flats or stylish combat boots are great! Read more about some of my favorite travel shoes here. Every time we visit Italy we stay in at least one Airbnb. Most apartment rentals in Italy feel very Italian and staying in someone’s home can really enhance your travel experiences. To feel more at home we use Airbnb you can check out some tips and read more about getting an Airbnb coupon code here. Or just take this coupon for your first stay!